Wash and soak Bengal gram and green gram separately for one to one and half hours. Once the dals are fully soaked and soft, drain all the water and spread them on a paper napkin to remove excess water. Wash ginger and green chilies and chop them into pieces. Grind ginger, green chili pieces along with cumin seeds to a coarse paste. Spread a paper napkin in a plate and keep it nearby---once the chekkalu are fried in oil, place them on the paper napkin to soak excess oil. Take water in a vessel and heat it. Add salt to the water and mix till it dissolves. Taste the water to check the requirement of salt and adjust accordingly. Allow the water to boil. When water is boiling switch off the flame and add asafetida, soaked and drained dals, sesame seeds, ginger green chili cumin paste and rice flour. As a variation add red chili flakes instead of ginger green chili cumin paste. Mix the ingredients with the back of a ladle and cover the bowl and keep it aside for few minutes to cool down. Heat a pan and add oil for deep frying chekkalu. Simultaneously on another stove heat a griddle on low flame. While oil is getting heated, transfer the rice mixture into a wide plate and mix well. Divide the dough into small portions. Take each portion and smoothen it with oiled fingers to form a ball. Take a plastic sheet and apply oil on it. Take a dough ball and flatten it with fingers and place it on the oiled plastic sheet. Press and flatten the dough ball into thin discs---the thinner the disc, the crispier chekkalu would be. Use a chapatti press for easily making these thin discs---place an oiled plastic sheet on the chapatti press and place a flattened dough ball in the centre of the sheet. Cover the dough ball with another oiled plastic sheet and press and we get perfectly shaped and evenly thin discs within no time. Separate the flattened disc from the plastic sheet and place them on the hot griddle and roast on both sides to make them somewhat dry---this allows the cheekalu to fry evenly browned and also they won’t be fragile while adding to oil. Then carefully slide the prepared chekkalu into the hot oil. Add sufficient number of chekkalu to the oil taken and fry them on medium flame turning in between till they are golden in color. Remove the fried chekkalu from oil using a slotted ladle and place them on paper napkin to soak excess oil. 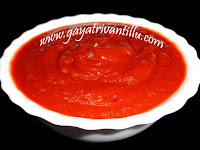 Similarly make chekkalu and fry them in medium heat oil till they turn golden in color. Cool the chekkalu to room temperature and store them in airtight container. Before frying chekkalu, ensure that oil is sufficiently hot. 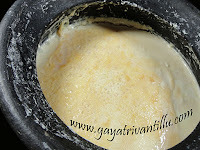 Add chekkalu in sufficient number to the oil while frying so that the pan is not over crowded. Make sure that there is enough space for the chekkalu to move around in oil. Using a chapatti press one can easily and without any effort make thin discs using the dough. If making the discs manually, ensure that there is company or else it would be boring. Instead of green chilies and ginger red chili powder may be used to spice the chekkalu as a variation. Also adding few curry leaves flavors the chekkalu. Adding red chili flakes instead of ginger green chili cumin paste gives a slightly different flavor. Red chili flakes adds as a design on these chekkalu also. Add a small piece of garlic while grinding ginger, green chilies and cumin seeds to a paste---this gives a unique taste. After making chekkalu dry roast them on a hot griddle both the sides to dry up slightly. As rice flour is gluten free, the dough made into a flat disc may break while handling—dry roasting helps in holding the shape firmly. Chekkalu when fried in oil after dry roasting on griddle gets fried evenly attaining brown color evenly. 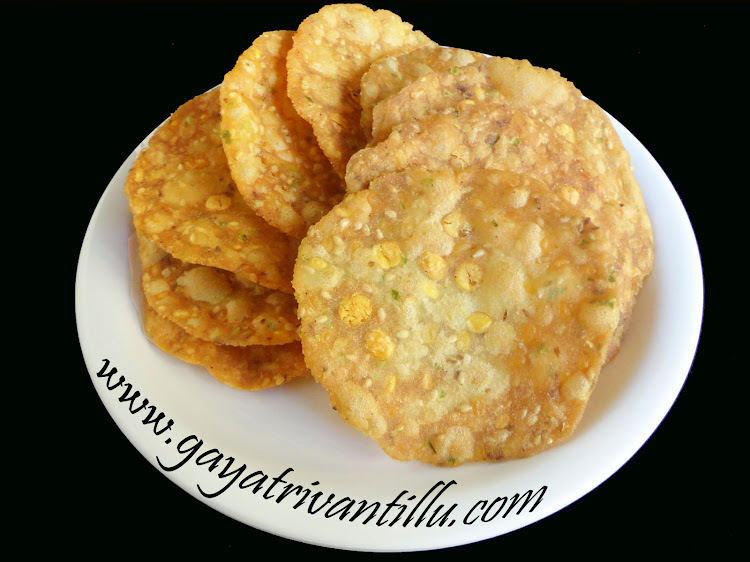 Serve these chekkalu as an accompaniment with tea or coffee.